Blue . Giveaway . Liquid sand . Nail Polish . OPI . Purple . Shimmer . Swatches . Wjcon . With every product I try of this brand I'm happier and happier, and also quite regretting not buying more stuff! 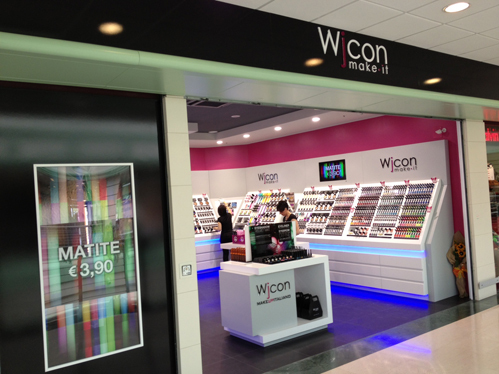 I bought the nail polishes from a boutique in a Shopping mall of a small Italian city called Lanciano, here is a pic of the boutique took from the website of the Mall. The young lady at the counter, Noemi, was lovely, and I had a great experience with her, she was so patient and showed me several products and how to use them. She showed herself so interested in the blog thing, when I explained her why I was picking two bottles of the same nail polish: I'm a nail blogger! What I'm meaning to show you today is the gorgeous Wjcon Sugar effect nail lacquer #808. In the swatches I painted 2 coats over my regular basecoat, no topcoat of course. This is by all means equivalent to the OPI nail polish, colour wise and formula wise, for a fraction of the price. This baby costed me only 3.50 €. 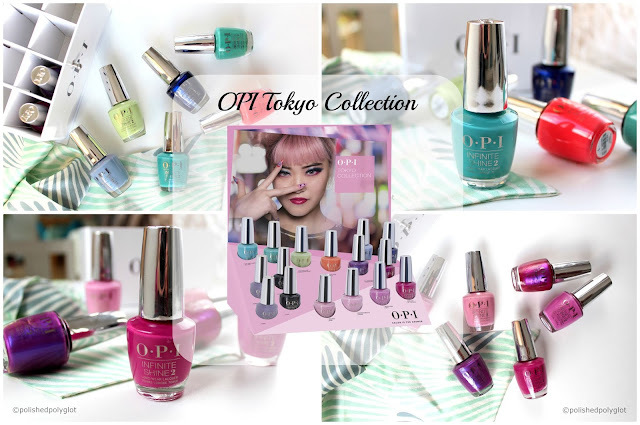 I also think it's quite unfair to say this is a "dupe" of the OPI polish, because the Wjcon Sugar Effect collection was released at the beginning of Summer, way before we knew about The OPI San Francisco collection. So, I'm not going to say who copies who, we tend to think small brands copy the big ones, but is it always the case? Anyways, I think this is a gorgeous polish, and I fell in love with it immediately! The moment I saw it I thought: I bet it looks a lot like Alcatraz Rocks, and I wasn't wrong. In fact on all my pictures one of my fingernails is painted with Alcatraz Rocks and the others with Wjcon 808, could you tell the difference? There's none! As my review on Alcatraz Rocks was very popular, I thought it would be a good idea to give this one away. What do you think? Would you be interested in it? If so, just enter the Giveaway using the rafflecopter widget here below. - the winner will be contacted by e-mail right after the closing of the Giveaway. The winner will have 48 hours to claim the prize, after that time another winner will be chosen. ¿Qué más te comprastes? tienes algún vino? o cualquier Burgandy? 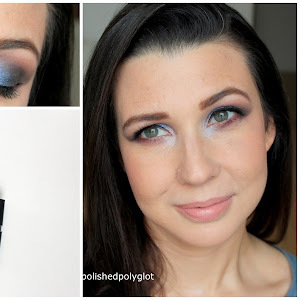 Hola Andrea, compré otro verde clarito y dos holograficos, también un glitter morado, casi azul... estaba con la obsesión del azul se ve!! jaja, es que cuando voy a Italia el mar es tan lindo que me obsesiono con los colores que recuerdan al mar verde azulado! Ah! y no dudes en entrar al concurso! me imagino que es un azul bonito. Aquí el mar también es muy bonito. ¿Fue la primera ves para tu hijito en Italia verdad? So pretty! 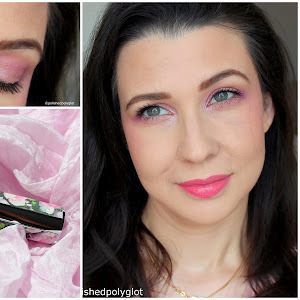 Is it okay if I follow you on Bloglovin too? Or are you not on there? P.S. : I am hosting a nail polish giveaway too this week :-) Go check it out, you might win! Hi Melissa, Oh please, be my guest! I'm in bloglovin of course, you find the link on the sidebar. Hi dear, I haven't got any Essence peel off base yet, sigh! I don't know why I kepp forgetting about it or getting distracted by other stuff when I go to Essence display at Manor's! Salut ma belle! You're totally right and I agree with you. In fact in the beauty industry is well known that things get "copied" and ideas "borrowed", etc. Sometimes a product is the same, same manufacturer, recipe, and all but what changes i the brand and the package!! I'm not saying this is the case, but I've heard about many cases. What a beautiful polish! Thank you for the opportunity. Have a wonderful day!